Plants have been the main source of medicines since ancient times. Practically all human societies have utilised plants not only as sources of nutrition but also as therapy against diseases and ailments. Considering the fact that the synthesis of a pharmaceutical requires an enormous investment of research and money, the discovery of useful medicinal plants which have been used for millennia is very appealing. This book examines Scutellaria baicalensis, one of the most widely used medicinal plants whose roots have been used for anti-inflammation, anticancer, decreasing blood pressures, reducing the total cholesterol level and treating bacterial and viral infections. The pharmacological, toxicological reports and clinical applications of B-carotene, an organic compound abundant in plants and fruits, is also explored. Furthermore, diabetes is a metabolic syndrome resulting from low levels of insulin. This book focuses on recent examples of traditional medicines and foods that have been validated by scientific evaluation as having promising activity for the prevention and/or treatment of diabetes. 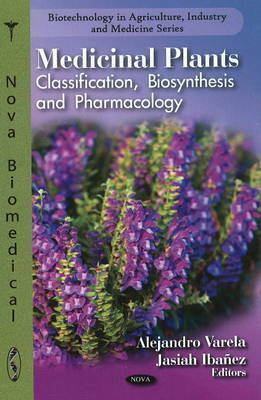 Other chapters in this book describe compounds found in some plants that have been tested in different bioassays and showed anti-mycobacterial activity, the advantages of the novel quality control near-infrared spectroscopy (NIRS) tool in medicinal plant analysis, and a quantitative analysis of polysaccharides from medicinal plants and fungi.